You and your family can recycle, reuse, and reduce more than you think! 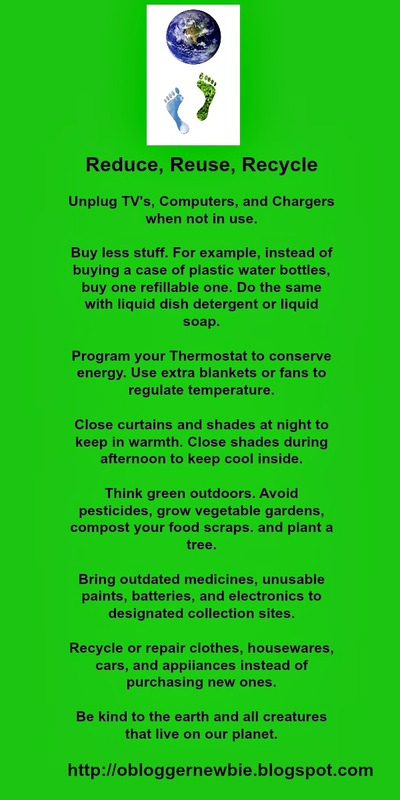 If you care about family and planetary wellness, take simple steps to reduce your carbon footprint. Each positive action helps protect our environment, and contributes to worldwide efforts to keep the planet inhabitable for our children’s children. 1. Bring reusable bags and containers when you shop, travel, or pack lunches. Choose products that are returnable (like library books, CD’s, and DVD’s), and refillable (bring your own doggie bag container to restaurants). Don’t rely on single-use items like plastic bags and containers to pack leftovers. Avoid individually wrapped items, snack packs, and all plastic water bottles. Use biodegradable containers and bottles made from glass, stainless steel, or pottery instead. 2. Retrain yourself and your children to conserve resources like water and electricity. Encourage all family members to turn off water while brushing their teeth, and switch off lights when they are not in a room. Unplug your appliances like your toaster, when it's not in use. Use cloth napkins and cloth diapers, instead of disposables. This will help in a BIG way to cut down on junk in the landfill. Reasons Why it's Smart to Use Cloth Diapers. 3. Cut down on gas usage by turning off your vehicle while waiting in line at the drive through coffee (bring your own cup) place or when picking up kids from school. 4. Buy in bulk whenever it's practical, because packaging materials are greatly reduced this way. It will save time shopping and save some green too. Bulk items are usually less expensive than individual portions of stuff. 5. Figure out how to minimize your waste. Use less water by watering your garden early or late in the day. 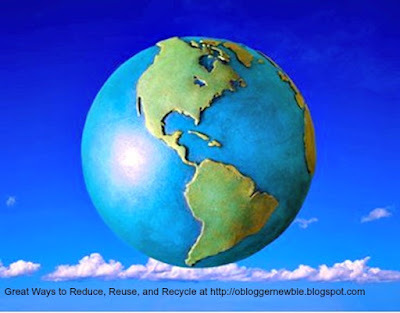 Use eco-friendly forms of transportation like buses and bikes. Support companies whose products conserve natural resources, don't pollute the environment, and are manufactured with recycled materials that are minimally packaged. It doesn’t take much to go greener this year. All you have to do is think and act green. 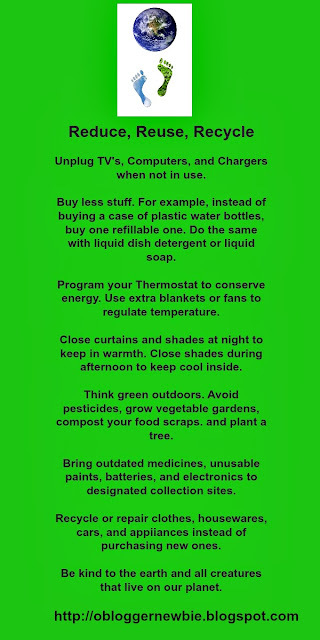 How many of these things do you do now and which new eco-friendly steps are you willing to adopt in the future? Please comment directly on this post in the space provided below. Sharing is caring and I thank you in advance for your support.